Millions of people around the world are deeply concerned about the health of the planet. Because of this, they are considering the different ways that they might “go green.” Naturally, the most obvious answer is to consider any form of alternative energy available, and for most people that means solar energy. The question then is how to go about adding solar power to your home and daily life. This brief discussion is going to look at the primary methods of converting (at least a portion) of your home energy needs into solar power. Though we’ve been trying to master solar energy technologies since the middle of the last century, we haven’t yet perfected the machinery needed to harness the full potential of the sun. Instead, we have found ways of utilizing the energy created by solar radiation to generate domestic hot water supplies, and to deliver some electricity to individual homes or even to large numbers of consumers. For example, one of the most affordable methods that you can use to convert some of your home energy supplies into solar options is to install what is known as a solar hot water heater. These are available in a few different designs and styles, and some people can only use them for a partial supply of their hot water. This is not important, however, because it is known that hot water tends to consume more than 25% of most home energy supplies, and even a small reduction in the amount of money spent on the creation of hot water would be tremendously beneficial in reducing your monthly power bill. 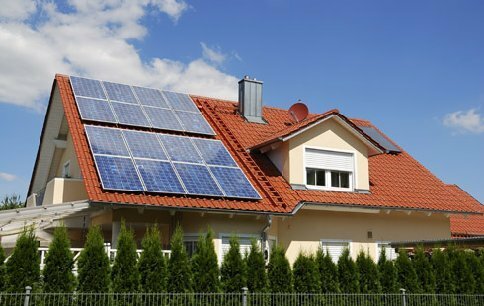 A home can also be converted to solar energy through the installation of solar panels. These, however, are where a lot of people run into some confusion. This is due to the fact that the technologies associated with the panels have not yet been enhanced to allow for a reliable level of energy around the clock. What happens is that a home with solar panels will gather what energy they can during the sunlight hours of the day. Any excess energy will be used to fill some batteries stored in the home. After sunset, the house taps into these batteries and their electrical supply. Once these have been drained, however, the home returns to a supply of electricity taken from “the grid” or the public supply. The public supply, however, is also something that is being converted to solar energy too. This is the final way that you can convert your energy dollars into solar – by opting to support solar power plants, providing funds to your utility supplier to invest in solar energy, and making private investments of your own. The technologies to create and harness energy from the sun already exist and it is only a matter of time before almost every home on the planet will be able to rely on solar or alternative supplies to meet all of their day to day (and night to night) electrical requirements!